Let’s talk about the best backpacks (rucksacks) for rucking. We’ll highlight the best products that look good, are functional, and tough as nails. We’ll also highlight some great rucking accessories that help you get the most out of your gear. 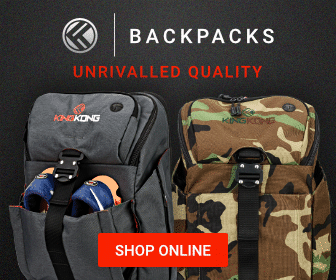 Looking for Black Friday 2019 deals on rucking backpacks? Check back here and we’ll have our recommended choices for rucksacks. 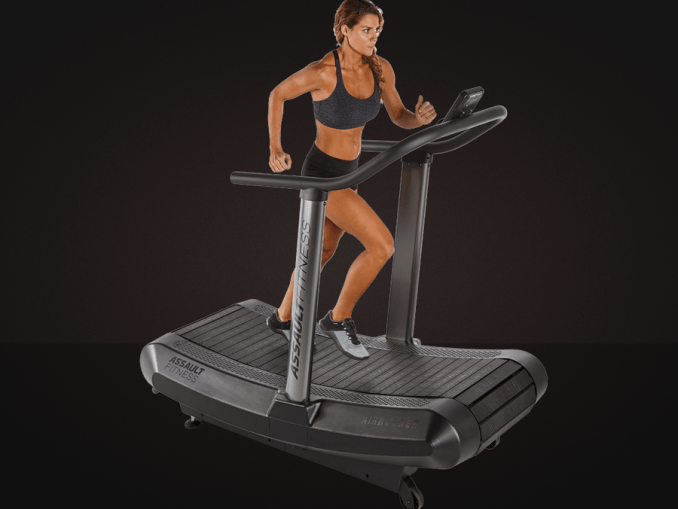 Black Friday is the best time of the year to buy fitness equipment and accessories. 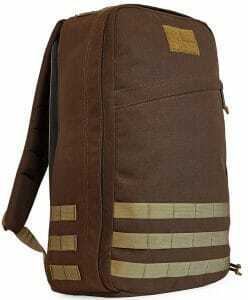 By the way, that super-sweet looking rucksack pictured above is the GORUCK GR1 in Coyote Brown – a top notch ruck and a great looking piece of gear. Remember, the first rule of GORUCK is: Always look cool. Read on to find out why we think the GR1 is the best choice for rucking – and for every day use. What is Rucking? Rucking is walking (or marching) with a loaded backpack (rucksack in Army-speak). Carrying a heavy load for a long distance is great endurance exercise – and it’s low impact but burns a lot more calories than walking. The roots of rucking lie in the military – where soldiers prepare to carry their essential gear for long distances. Zippers – Nothing makes a backpack worthless quicker than a blown out zipper. Look for high quality zippers (such as YKK) whenever possible. Bonus points if the zipper pulls (the tab you grab to pull the zipper) is a “silent pull”. This means they won’t jangle, clink, or rattle and make noise as you are moving about. 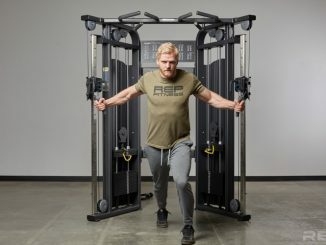 Ruck plate (weight plate) compartment – A specialized ruck plate compartment will help ensure the ruck load stays stable, comfortable, and in the correct position – high on your back. Toughness – If you are taking part in a GORUCK challenge, there’s a very high probability you’ll be using your ruck as a PT implement – squats, presses, holds, drags, carries, swings, and more. A cheap backpack is not going to survive this sort of treatment. Laptop compartment – For a versatile EDC (Every Day Carry) ruck – look for a laptop compartment. Even better if it’s fully padded, including on the bottom where damage from an accidental drop is likely to occur. 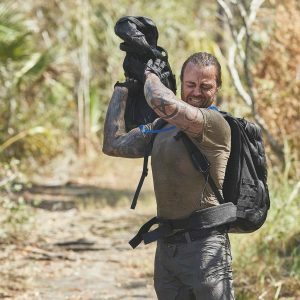 Velcro patch area – If you are going to get into rucking – you’re gonna want to put some patches on – whether showing some style, making a personal statement, or showing off a major achievement – patches have an important role in rucking. Rain proof or some degree of water resistance – If your backpack can’t keep your gear dry in a sudden downpour what good is it? Doubly important if you are carrying a laptop or other expensive electronics. Sure you can double wrap everything in plastic – but that gets old quick – and the one time you don’t do that, it’ll be sure to rain. Wide shoulder straps or padded shoulder straps – Skinny little shoulder straps are going to dig in too much – it’s simply physics – you want the load distributed over the largest surface area for maximum comfort. Go with a model that was wide shoulder straps and padded shoulder straps. Sternum Strap or Chest Strap – a chest strap is recommended where possible. It can be had as an add on for many packs. It helps you vary the load on your musculature, as well as secure the pack to your body better. 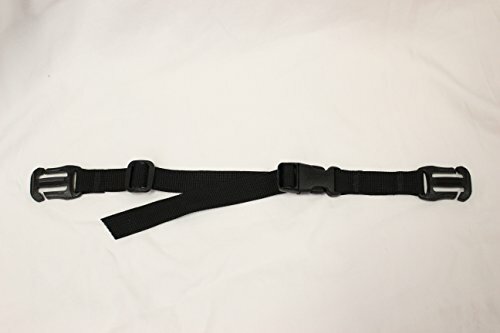 Hip Belt or Waist Strap – A hip belt can be used to put some of the load on the large muscles of the hips – this will help stave off upper body fatigue and will let you ruck longer. 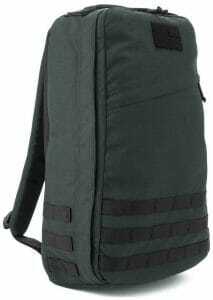 This is recommended for very heavy loads (50 pounds+), or for long ruck marches. A hip belt (also called a waist strap) is not a necessity. 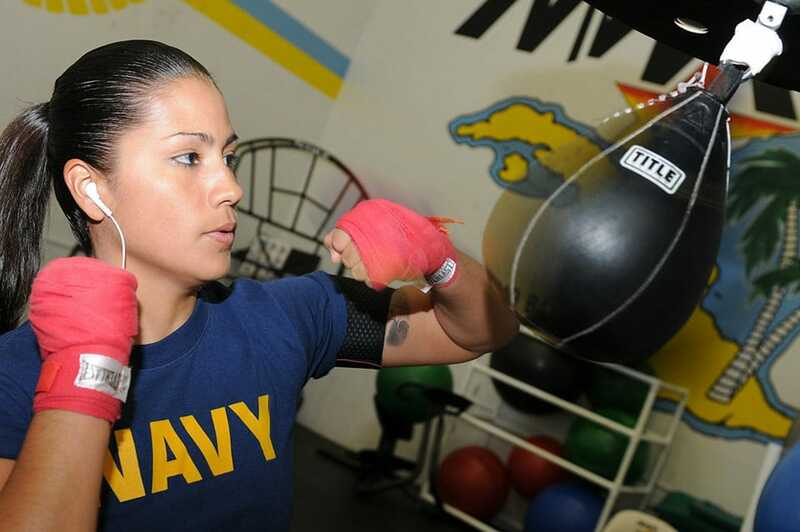 Although, some ruckers report that a hip belt can help keep pack movement to a minimum if you have to do bear crawls or burpees as the PT component of your ruck event. Size – Backpacks and rucksacks are rated according to capacity (volume) in liters. For example, you’ll hear reference to 21L, 26L, 30L, etc. The bigger the “L” the more it will fit. But there are other considerations as well. Is it a “lay flat” rucksack? These are easier to pack efficiently. Are there special pockets or compartments for laptops, electronics, weight plates, etc? All of these can make the difference between an easier to use rucksack. We’ll highlight some common accessories that can help you get the most out of your ruck below. Let’s look at some options and rate them according to each category. We’re going to start with our recommended choice for nearly everyone. GORUCK designs and builds gear specifically for rucking – and their GORUCK GR1 is a top notch piece of equipment. Built to last, and made in the USA – it’s a practical piece of equipment that is made for real world use. Function – This is a real backpack, made for real world use. Not only that but it’s designed well and gets rave reviews from those who buy it. Features include: Separate (and super-tough) laptop compartment, opens flat for easy packing, rainproof, and has a hydration port. One of the most important features of the GORUCK gear – it’s got MOLLE. MOLLE is rows of webbing – heavy-duty nylon stitched onto the vest/pack to allow for attachments. This allows endless versatility for securing items and adding attachments. There are 3 rows of external MOLLE, easily seen in these pictures, but there are also 3 rows of internal MOLLE – at the “top” of the bag. GORUCK bags have the most comfortable straps around. The comfort has to be felt to be believed. The straps are wide – which helps distribute the load, and padded. 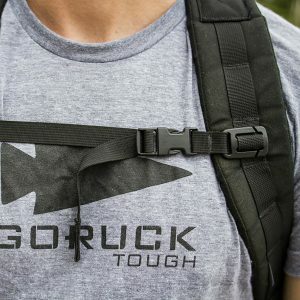 This is one area where GORUCK stands out amongst any competitors – whether on a fitness ruck or international travel having comfortable straps helps lighten a heavy load. It’s also compatible with GORUCK ruck plates, which are compact weights perfect for ruck load. 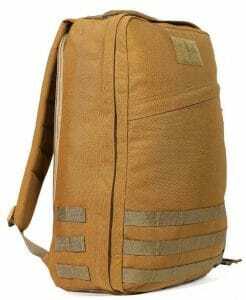 Lastly, this backpack was designed specifically for rucking. The right model will keep the weight high on your back. Form – It’s available in two sizes – 21L and 26L. The 21L is the recommended model for nearly anyone, but if you are 6 foot plus in height – you can get more space with the 26L. By the way, the L is for “liters” – meaning capacity. Will the GORUCK GR1 fit under an airline seat? Yes – it is “personal item” sized – even the 26L model. The GR2 described below is “carry on” size. It’s also available in all black with no logos – which is required by the US military for personnel to use non-government issued backpacks that don’t match the camoflauge uniform in use. There’s many other colors and styles available as well. It’s got an easy-access, zippered slant pocket – which is the perfect place to stash car keys or other small items that you might need frequently. Durability – GORUCK claims to overbuild their gear and it’s got a lifetime warranty (aka the SCARS warranty) to back that up. SCARS covers a lot – including worn out zippers. For items that aren’t covered (such as outright abuse) they’ll fix things for a reasonable fee. It’s a heavy duty rucking backpack, it’s that simple. Made from 1000D Cordura, which has a good strength/weight ratio and it’s resistant to abrasion, cuts, and wear. Please note – 1000D Cordura is tough – and it’s a bit abrasive compared to other materials such as 1050D Ballistic Nylon. Price – Check the GORUCK website for current prices. 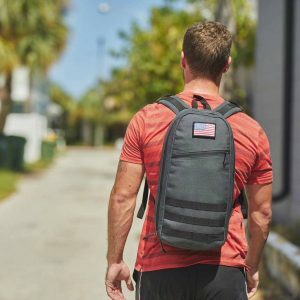 Need a backpack for business or personal travel (especially with a computer) – and you want to reap the fitness benefits of rucking? This is the piece of gear for you. Rucking has a lot of acronyms and terms – AAR, EDC, HTL, GRC, GR1, and more. If you want to decipher these check out our Rucking glossary. Is this too expensive? Not in our opinion – it’s dual purpose gear that will last a lifetime and it has features you can’t find in cheaper backpacks. About the time you’re on your 3rd cheap backpack you may wish you’d bought the GR1. Lastly, if we’re going to lug this thing everywhere – let’s make it look good. The GR1 comes in a variety of styles – from business commuter to combat ready – and has a cool velcro patch area – slap a sweet looking GORUCK patch on there if you’re at a loss for any other ideas, or check out our article on where to buy morale patches. One thing we like about the GORUCK packs – they have several color options (Black, Wolf Grey, Steel, Java, Navy Blue, and more) that have a very “civilian” look. Great for when you want to remain covert, or when you need a dual purpose pack for both fitness and business. Many people actually consider the black GR1 as the least “tactical” looking option – with the black GR1 the MOLLE (which is also black) blends right in – you can barely see it. The Wolf Grey is another great color that looks very civilian. And we think that’s another reason the GORUCK GR1 is the best EDC backpack. Please note that some of these patterns and color combinations are limited runs – which means once they are gone, they might be gone forever. The stock that GORUCK has in each particular color also varies over time. Click through on the image below to see what they have in stock now. The only upgrade we recommend right out of the gate is the Sternum Strap. It attaches to the MOLLE using clasps. Almost any MOLLE compatible chest strap will work. The Fjallraven Chest Strap (Buy on Amazon) has some neat features – like a built-in whistle and reflective logo (for safety). BuckleGear also makes a great MOLLE compatible sternum strap in black, wolf grey, or coyote (Buy on Amazon). We don’t recommend the Hip Belt for the average rucker – but you can always add it later – because it definitely has some uses. As explained previously, it helps put some load on your hips (and off your back), but it also helps minimize bag movement. The Hip Belt can help keep the pack in place if you have to do any dynamic PT movements – such as bear crawls and burpees. The good news is that the GORUCK hip belt is fastened via the MOLLE webbing – so you can remove it when you don’t want it on. Shown below is the GORUCK Padded Hip Belt in action. The GR1 is a nice trade-off between capacity and bulk – if you need more space, check out the GR2 (available in 34L or 40L) or GR3 (45L). 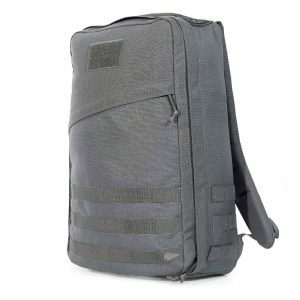 GORUCK now offers the GR2 in 26L size as well. Why would you want a GR2 26L instead of a GR1 26L? The GR2 26L has 3 compartments (laptop, inner, and outer compartments) and 8 total pockets. So, while it’s similar in overall size, it’s got more organization built in. Otherwise, it has all the great features. It is a little more expensive though. Why not a hiking backpack? Generally speaking, hiking backpacks (such as those from Mystery Ranch and others) aren’t the best option for rucking. Why? because they rely extensively on a hip belt to put the majority of the load on your hips. Much of the benefit of rucking is had from including the upper body in the action – and that means keeping the load high on the back, and off the hips. For very long ruck marches, a hip belt (and a sternum strap) can be a useful addition to vary loads over different musculature over time, but for short rucks you’re going to miss out on upper body training benefits if you rely on one too much. Hiking backpacks are also pretty large and specialized – and not practical for other normal travel or commute uses. What’s a frame sheet and do I need one? A frame sheet will help make your ruck stronger. It allows for a higher-up weight placement when rucking – keeping the weight up high helps prevent your shoulders from being pulled backwards. 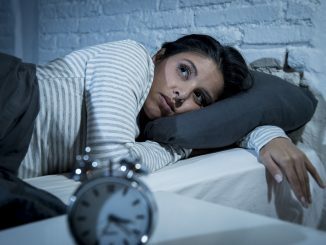 Overall this will reduce fatigue and help you go farther. It’s a standard feature of every GORUCK GR1 backpack – another reason why these backpacks are the best for rucking. 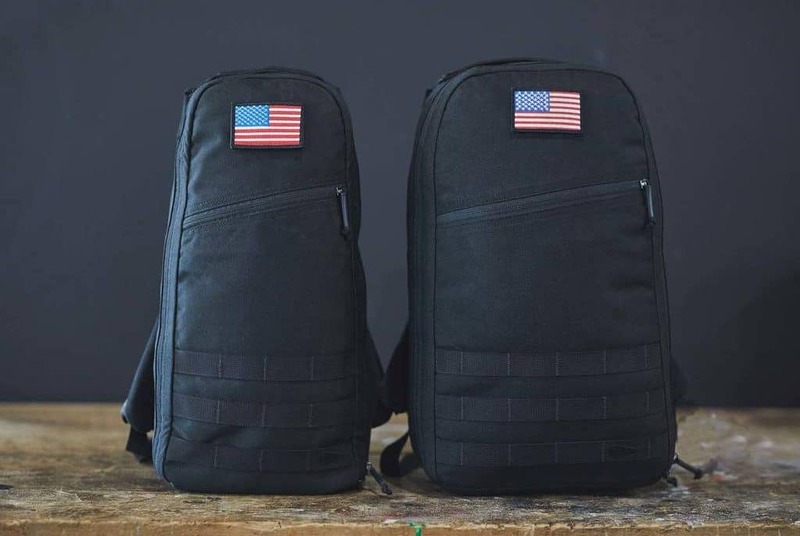 GORUCK frequently issues discount or coupon codes, and has special sales, such as Christmas in July (XIJ) or Black Friday. Students – College, University, etc. The Rucker 2.0 is GORUCK’s simpler rucksack made specifically for rucking. There’s no laptop compartment, false bottom, or internal MOLLE, so it’s a bit cheaper than the GR1. Shown here is the Rucker in Wolf Grey color – a good looking and versatile color. It goes with anything. It’s also got thicker padding on the straps and works best with the Expert ruck plates – which are not as long as the regular plates. They’ll stay nice and high on your back – as they should. The Rucker does NOT have the rows of internal MOLLE. Instead it has a D ring in the interior. The Rucker’s frame sheet – which helps adds stiffness and comfort – is even stiffer than that of the GR1. There are now three sizes of the Rucker available: 15L, 20L, and 25L. Otherwise, it’s very similar. It still has the external MOLLE webbing (15L doesn’t have side MOLLE though – which means you can’t attach a hip belt! ), frame sheet, rain proof, made from 1000D Codura, 2×3 velcro patch area, hydration port, silent pull YKK zippers, easy access slant pocket, etc. The Rucker now includes a bottom handle, in addition to the top handle. Why? Makes it easier to use it for PT during a ruck event. 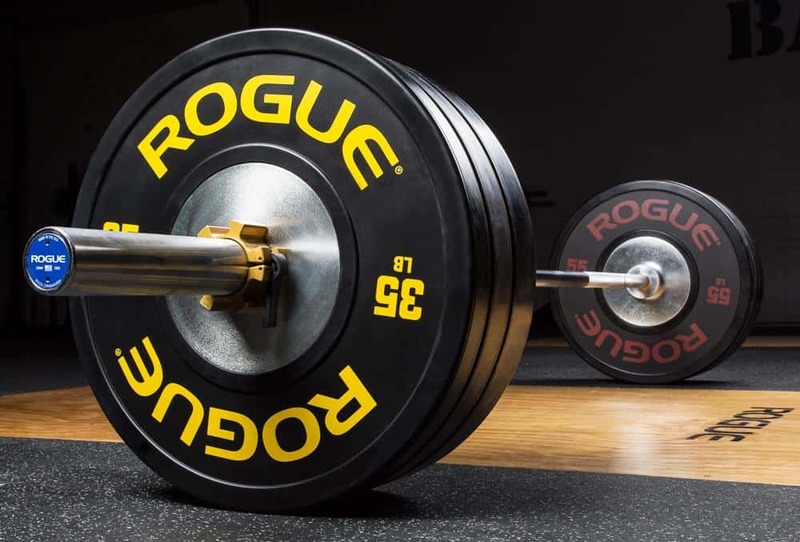 The overhead press, front squats, overhead squats, and other two-handed lifts will be easier with two handles. 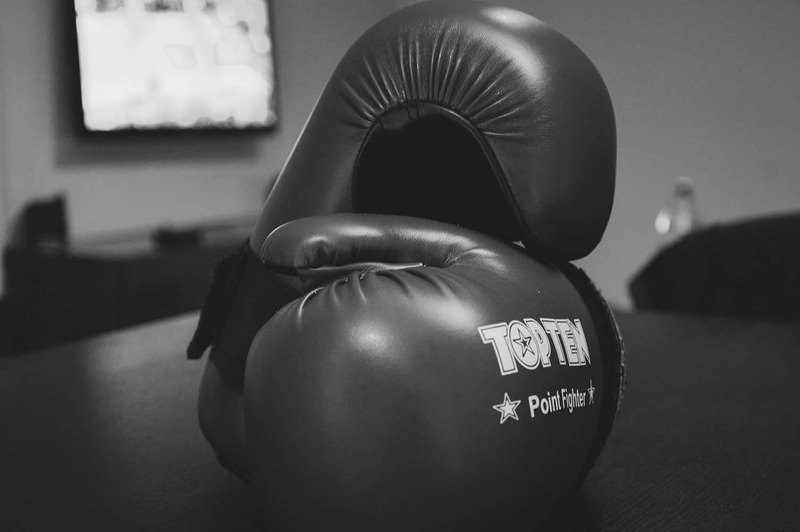 But, the main decision point is really – is this bag for physical fitness training and rucking or do you need an EDC (Every Day Carry) bag for a laptop? Or want to save some coin? Just like the GR1, the color options for the Rucker vary over time according to what GORUCK has in stock. At times they offer these colors: Coyote Brown, Black, Ranger Green, Steel, Wolf Grey, and Black Multicam. Click through this image to see what they currently have. Like the GR1 and the features but not liking the size? If you are 5’10” or less in height or if you want a minimalist bag for Every Day Carry you may prefer GORUCK’s Echo. It’s 16L capacity and about 1.5″ shorter than the GR1 21L. But otherwise, it’s got a lot of great features: Laptop compartment, MOLLE webbing, velcro patch area, silent pull zippers, rainproof, hydration port, extra padded straps, and lay flat design. And made from super-tough 1000D Cordura, of course. The Echo too big? Or maybe you just want something simple and streamlined? The 10L or 15L Bullet Ruck is your top choice. It’s small but still accommodates a 20 lb Standard Ruck Plate. It’s a great “Dayruck”. It’s the smallest ruck offered by GORUCK that will fit a ruck plate. The new 15L Bullet is the perfect step up from the 10L size. 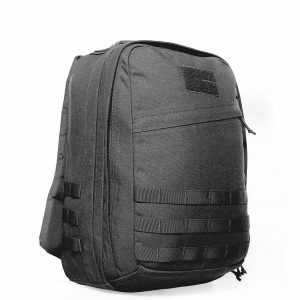 GORUCK even has a kid size backpack – the GORUCK KR1. 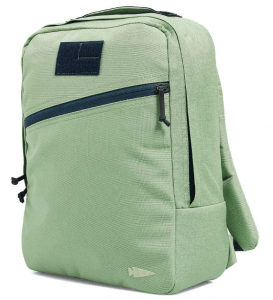 It’s 13L in size, comes in fun colors, like Coral + Ranger Green ,and Sea Green and Navy (as pictured here). It’s “slick” with no MOLLE, but it does have a Velcro internal patch board, in addition to the external 2″ x 3″ velcro patch area. This item is more for every day school use than rucking, but still pretty cool. It has 2 interior pockets, one small pocket for pens, pencils and crayons and another for notebooks. NOTE: The KR1 is rarely in stock. If you want it, and see it on the website – grab it before they are all gone! 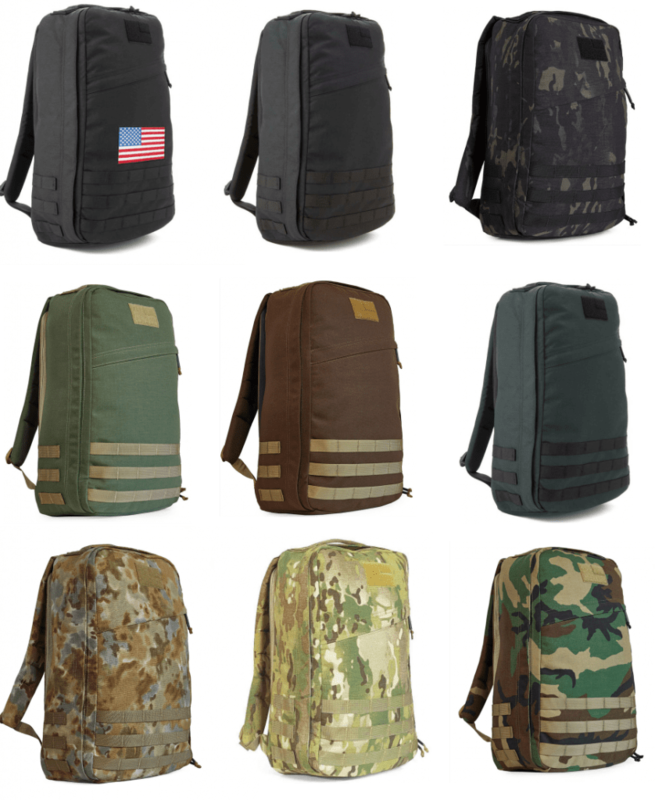 We hope we’ve given you some ideas on some rucking backpack options. Now that you’ve picked out a rucking backpack, you may want to check out our rucking accessories guide. These add-ons and accessories will help you get the most out of your rucksack. You may also want to check out our ruck plates guide and our ruck footwear guide. Rucking is a simple exercise that doesn’t require a lot of requipment. 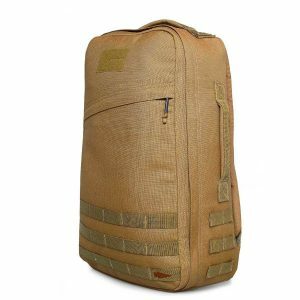 But if you get serious about rucking, there are some great equipment options that make rucking more enjoyable. 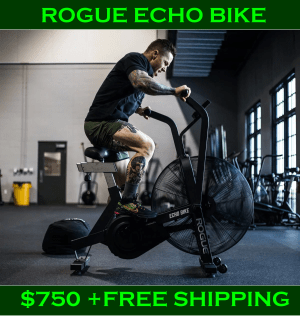 The best gear is high-quality – and dual use – meaning it’s not just fitness gear, it’s a practical tool for every day use. The GORUCK GR1 is the best option for most people. 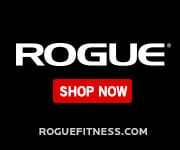 Why GORUCK Products? 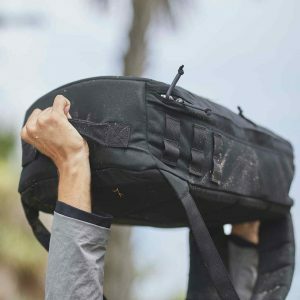 We’re a GORUCK affiliate – so if you order equipment after clicking the links in this article we receive monetary compensation. But that’s not why we recommend GORUCK. It’s because their equipment is innovative, built to last, and made in America. They are the driving force behind rucking not just as exercise, but as a way to make people better. And that’s why we love them. Some product photos on this page are provided by, and property of GORUCK. Other product photos are property of the manufacturer, and provided by the manufacturer.